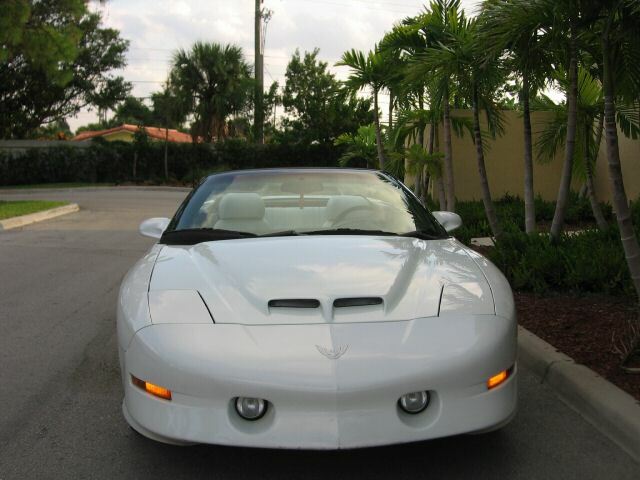 A silver Firebird looking ready to drive. 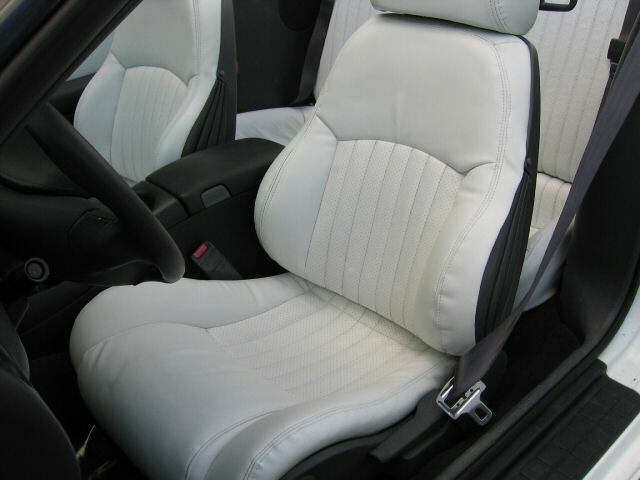 Standard 4-way seat adjusters became standard on all models for the '97 year and an electronic instrument panel with analog gauges was also added. 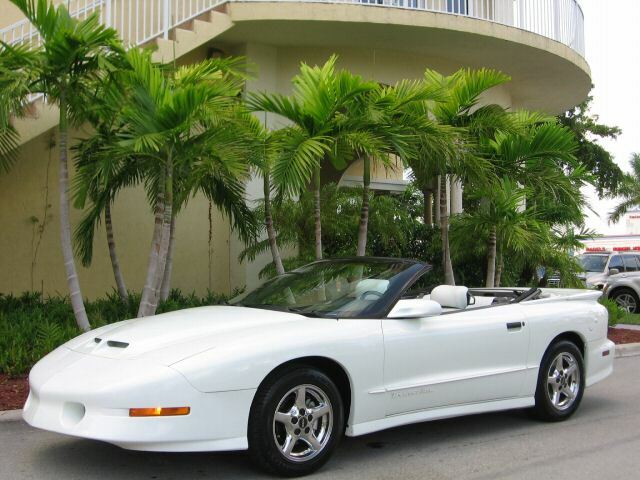 Base Firebirds now received a 200hp 3.8L V-6. 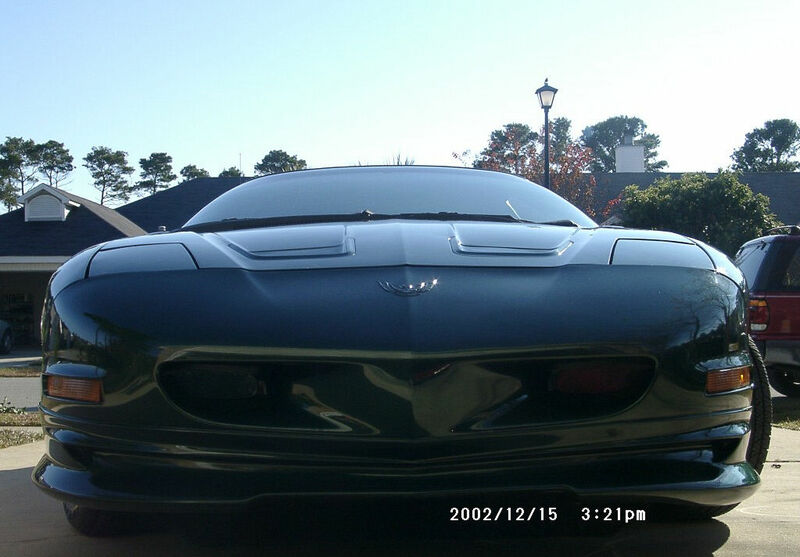 A red WS6 Trans Am. 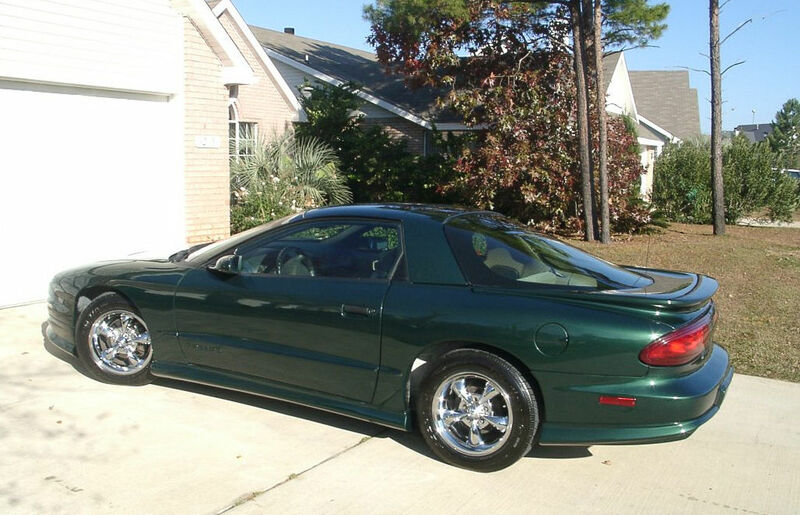 I think this is the best looking model of all the fourth gen cars except maybe.....the '98. 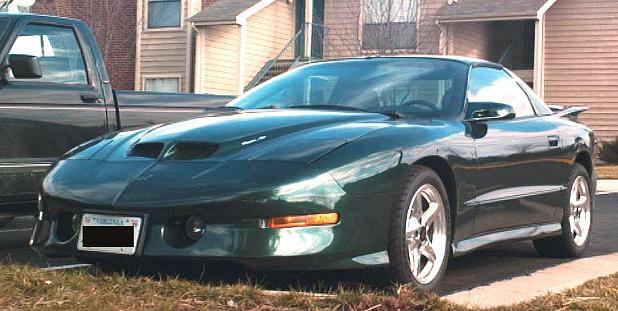 Interested in purchasing a '97 Trans Am model kit? Visit the Firebird Gallery Store to see our current inventory! 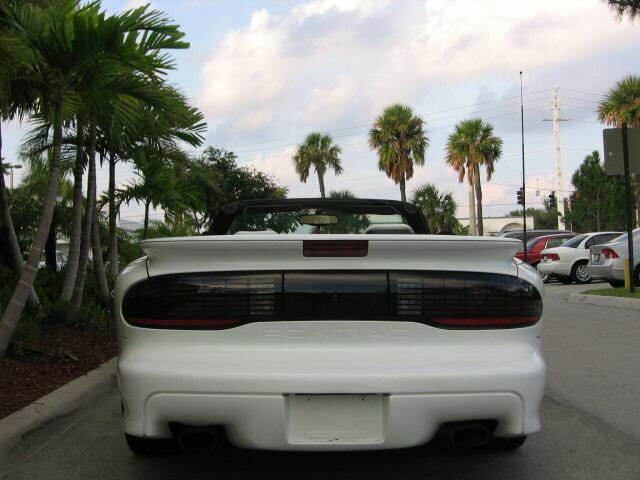 The WS6 Performance Package which added the Ram Air induction system, 17" aluminum wheels, and P275/40ZR17 Goodyear tires. 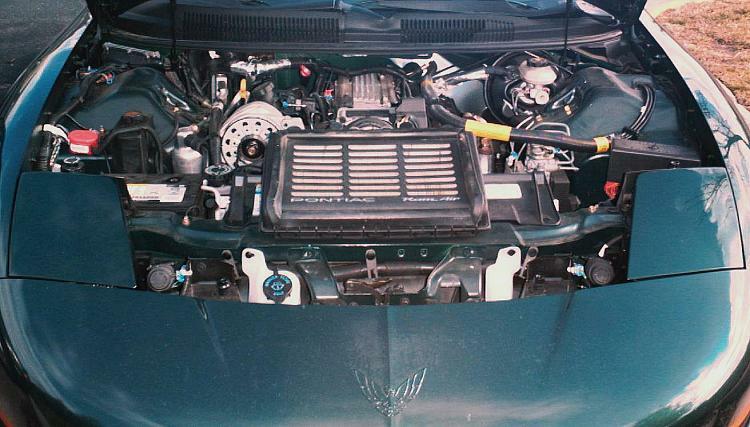 The prized LT1 5.7L SFI V-8 engine. A 4-speed automatic transmission and Performance rear axle with a 3:23 gear ration. 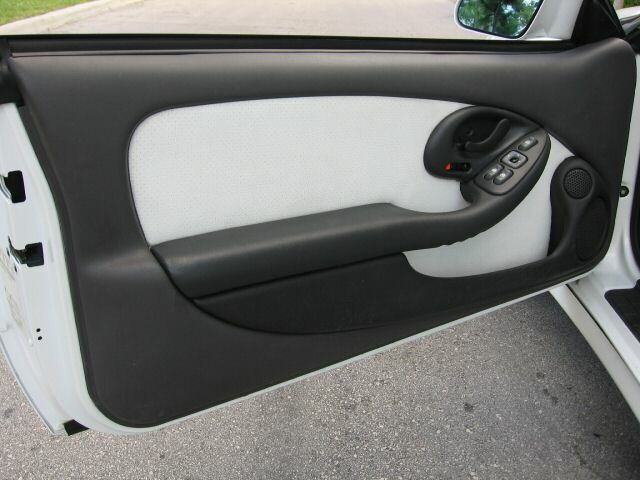 For creature comforts T-Tops, power windows, power door locks, power mirrors and power seats are also included as well as leather seats and a leather wrapped steering wheel. Finally the eardrum annihilating Monsoon 500 watt 10 speaker stereo cassette system complete with a 12 disc CD changer provides some tunes. 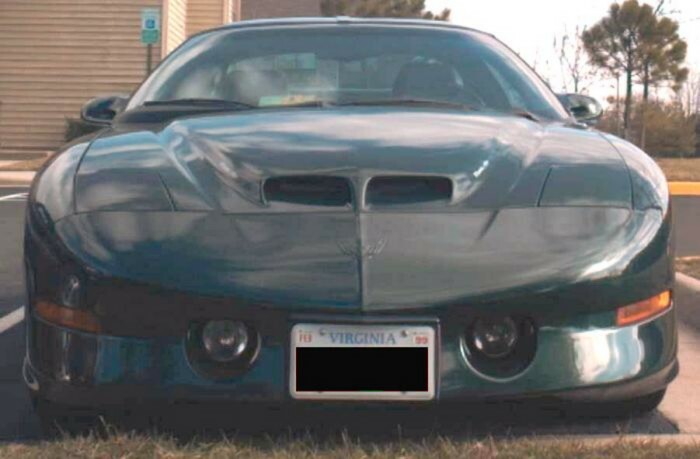 This pic of a cool looking Trans Am was sent in by Jim Scialabba. 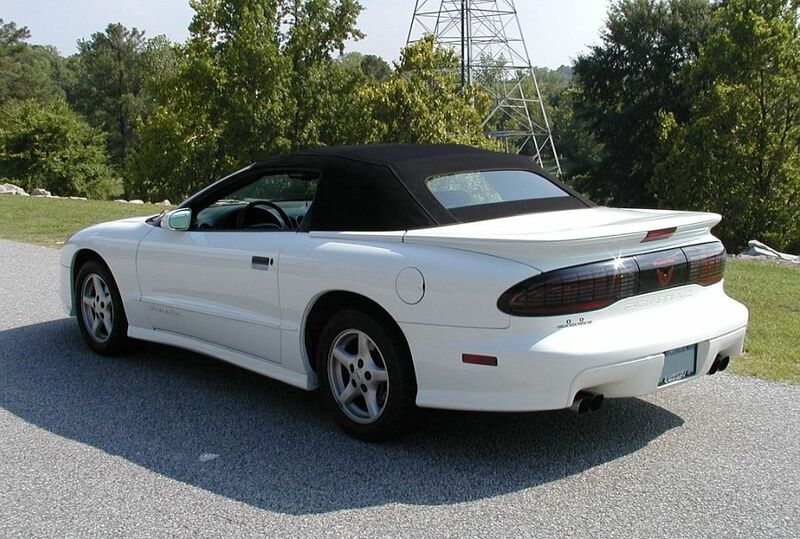 A convertible version of the purple Trans Am. The actual name for this color is Bright Purple Metallic. Either way you call it this is a good looking car. 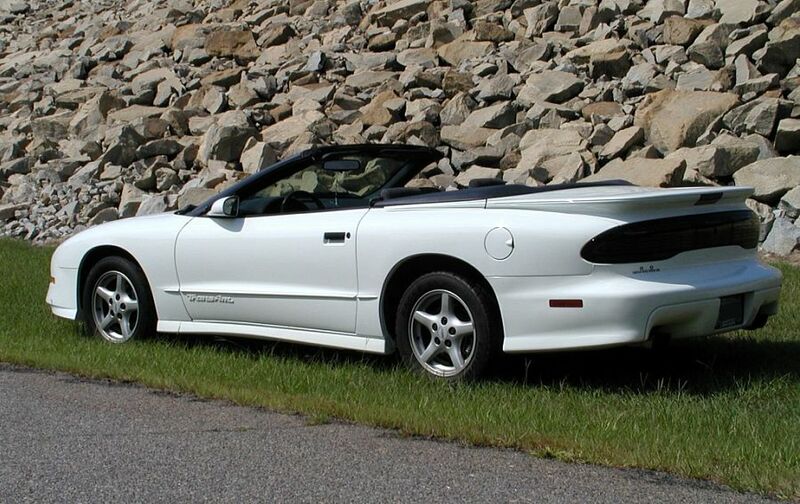 If your gonna have a convertible I think this is the one to have no matter what color you pick. 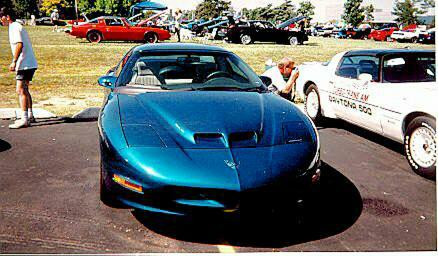 A blue Formula with the WS6 package installed. With a base price of only $19,464 the Formula proved to be an excellent option for performance enthusiasts. 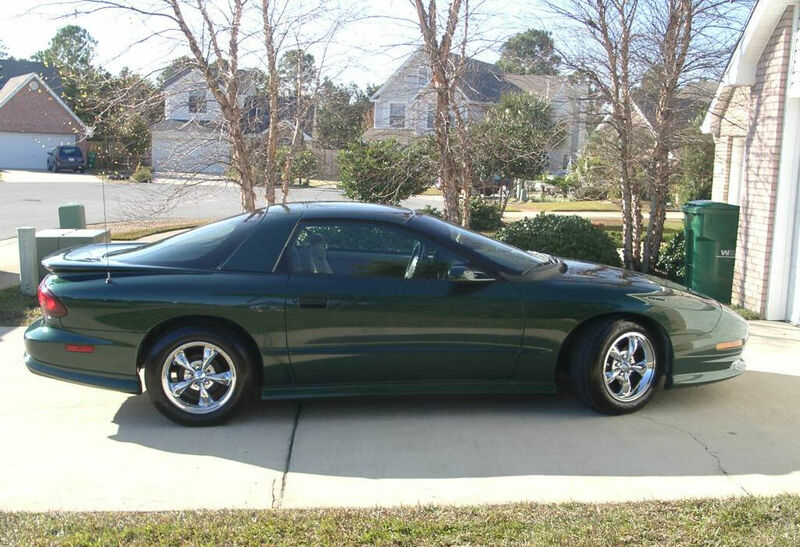 With this car would could easily afford to add the $2995 WS6 Ram Air package along with a host of interior and exterior goodies. How can you beat a car with 305 horsepower and a 500 watt 10 speaker stereo system with a trunk mounted 10 CD disk changer right off the assembly line. How's that for excitement?! 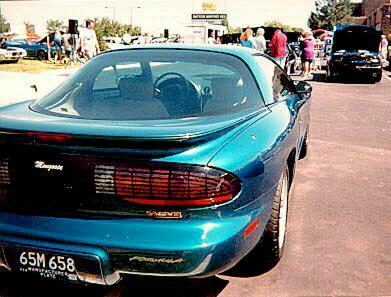 "The car shown in the 1997 Firebirds, lot 1 section, 6th car down (blue WS6 Formula) is actually a very rare factory experimental car. 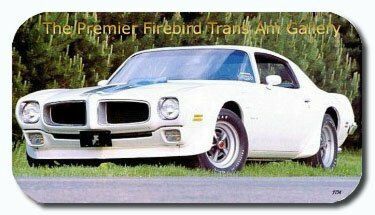 It was called the Mongoose, and was a stripper WS6 Formula (hardtop, no stereo, no A/C- used a blockoff plate on the console, no power accessories, plain rubber steering wheel, etc.). 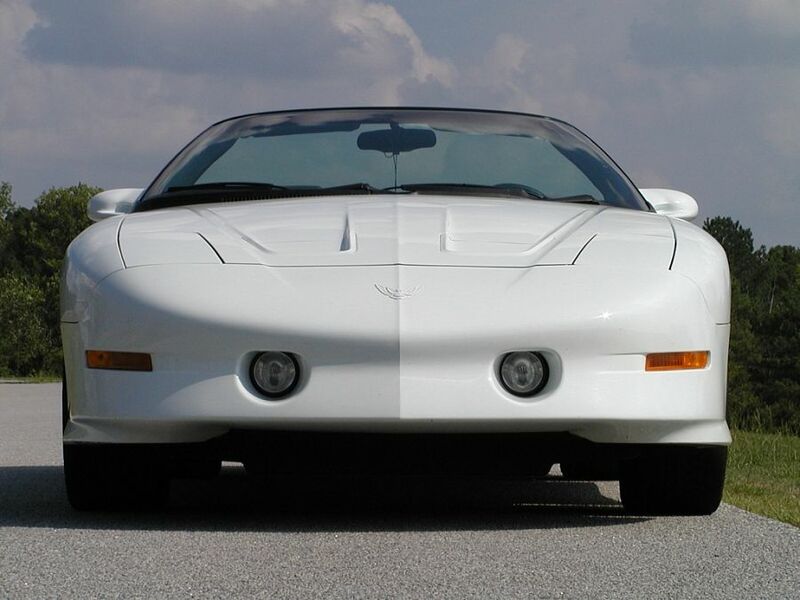 It was designed to be the ultimate performance Firebird, getting the weight down as low as possible. 1 or 2 of them were made, but GM decided the limited amount that would be ordered didn't justify offering it as an option. The cars were eventually destroyed. 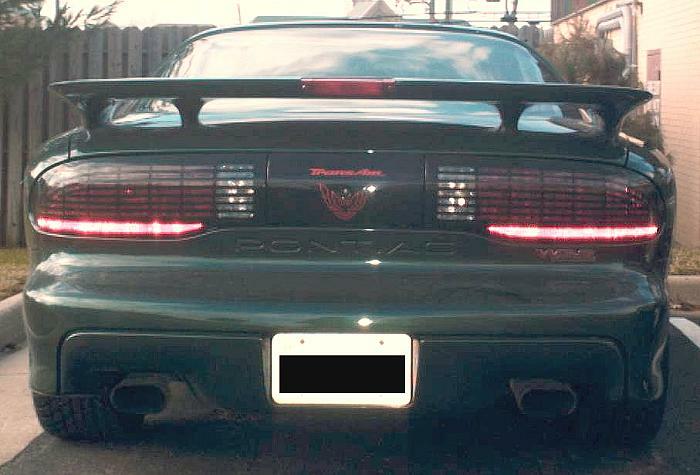 You can see in the second picture the "Mongoose" lettering on the filler panel between the taillights, as well as the manufacturer's license plate. The car was featured maybe 2 or 3 years ago in either GM High Tech Performance magazine or High Performance Pontiac, I can't remember which. The knowledge I have of the car came from that article (although I haven't read it in some time). I'll try to find it later on. If you are interested, let me know and I'll give you more accurate information when I can. 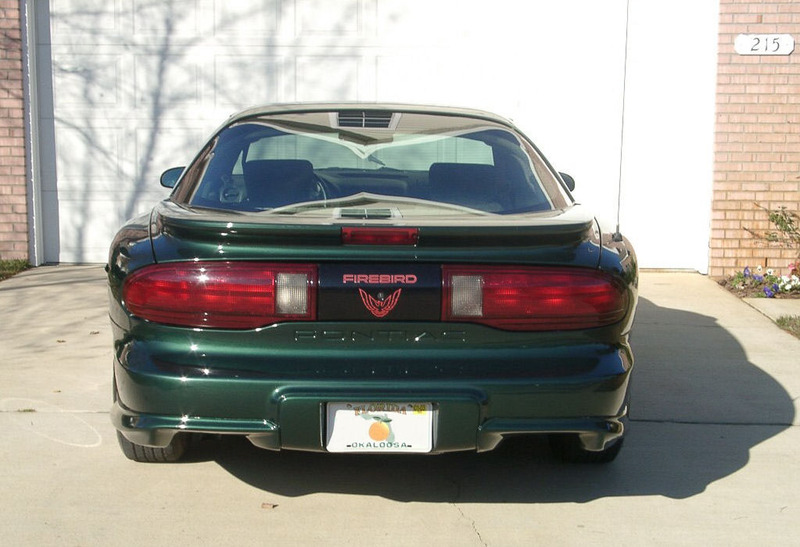 Just thought you might want to know that those were pictures of a very rare piece of Firebird history. Great website by the way!" 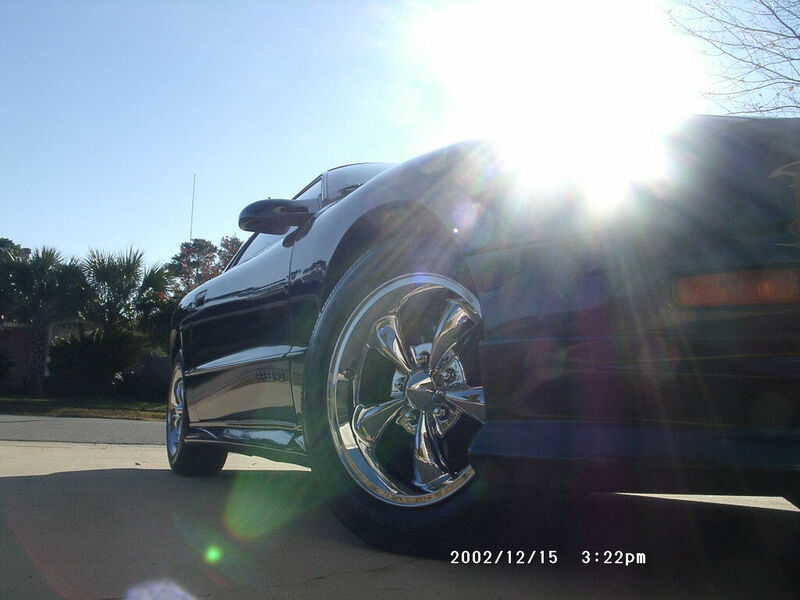 He is adding Flowmaster 80's with quad tips and tailight blackout kit this month. These two cars look awesome together as well. 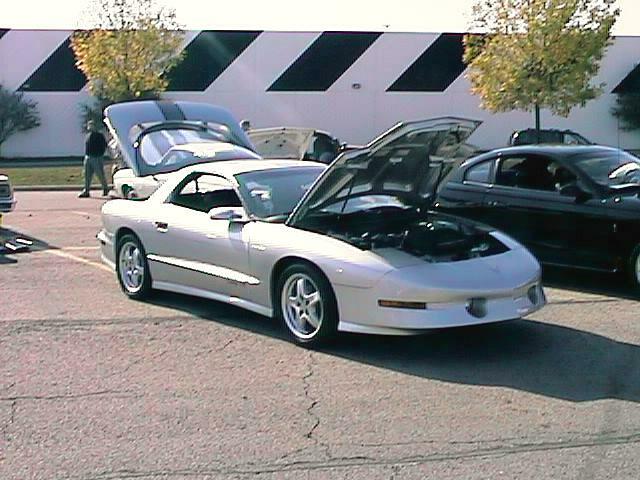 You can see Tom's Trans Am at the 2002 Firebirds Lot#1. Hope these pics are ok. GOD bless you !" A purple T-Top firebird. I still say this is the coolest color. "This is a car I just picked up. 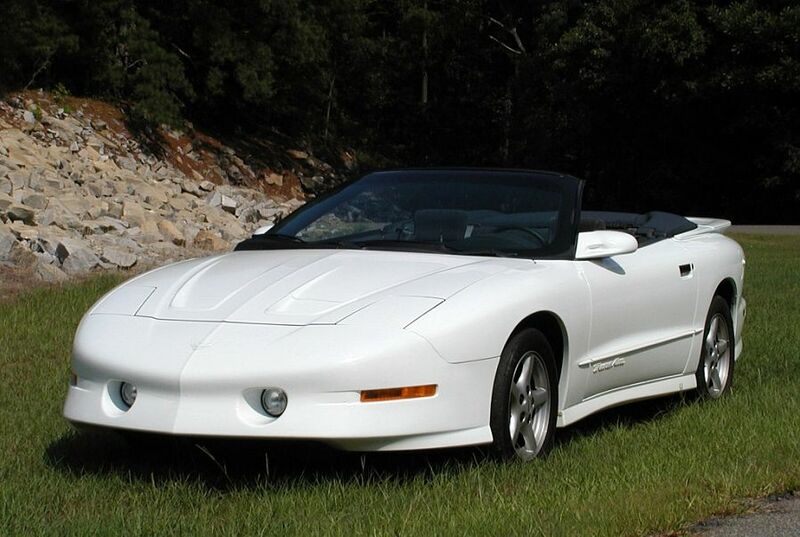 It is a bone stock/non-molested 97 triple white WS6 Vert w/ 60,000 on it. I love this car, These are the only pics I have of it so far ( I'm sure I'll be getting more later! )."